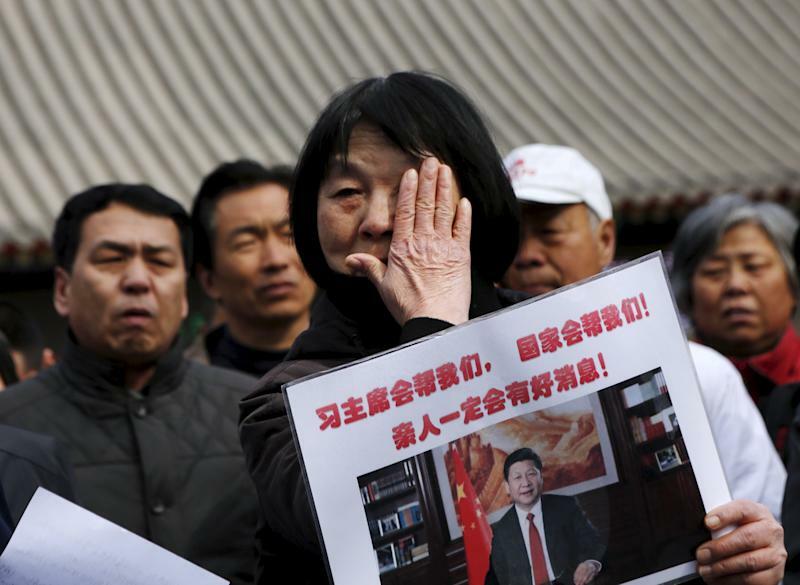 PERTH, Australia (AP) — The hunt for the missing Malaysian airliner continued to focus Monday on a search for weakening radio signals from deep beneath the waves despite mounting evidence that the batteries in the plane's all-important black boxes may finally have died. The search coordination center said early Monday that no new electronic pings have been detected since Tuesday by an Australian ship dragging a U.S. Navy device that listens for flight recorder signals. Once officials are confident that no more sounds will be heard, a robotic submersible will be sent down to the floor of the southern Indian Ocean to scour for wreckage at a walking pace. But the center said the Australian ship would continue the signal hunt Monday, along with a British warship and Australian air force P-3 Orion plane. Both the British ship and plane have sophisticated acoustic detection equipment. A visual search for debris was also planned for Monday over 47,600 square kilometers (18,400 square miles) of ocean centered 2,200 kilometers (1,400 miles) northwest of the west coast city of Perth, the center said. A total of 12 planes and 15 ships would join the two searches. Aviation expert Geoffrey Thomas said searchers were hoping for one or two more pings so that they could narrow down the search area through triangulation. 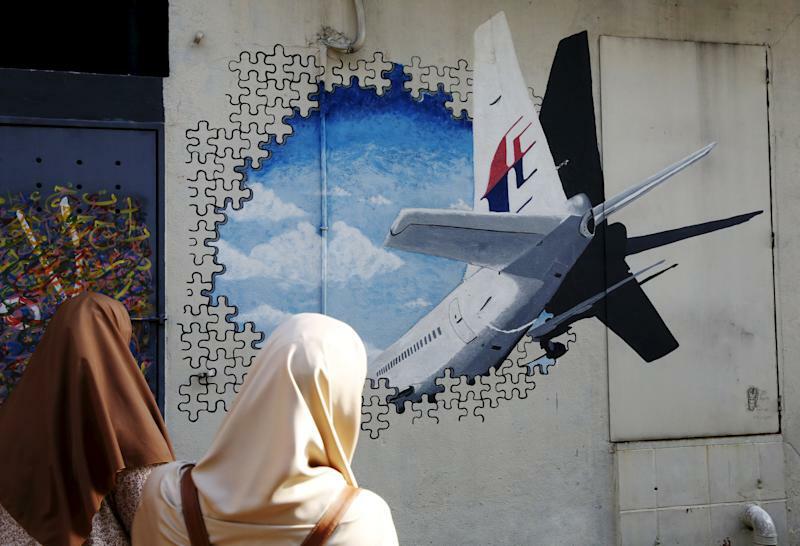 Recovering the plane's flight data and cockpit voice recorders is essential for investigators to try to figure out what happened to Flight 370, which vanished March 8. It was carrying 239 people, mostly Chinese, while en route from Kuala Lumpur, Malaysia, to Beijing. After analyzing satellite data, officials believe the plane flew off course for an unknown reason and went down in the southern Indian Ocean. Investigators trying to determine what happened to the plane are focusing on four areas — hijacking, sabotage and personal or psychological problems of those on board. Two sounds heard on April 5 by the Australian ship Ocean Shield, which was towing the ping locator, were determined to be consistent with the signals emitted from the black boxes. Two more pings were detected in the same general area Tuesday, but no new ones have been picked up since then. Australian Prime Minister Tony Abbott has expressed confidence that the pings picked up by the Ocean Shield were coming from the plane's two black boxes, but he cautioned that finding the actual aircraft could take a long time. "There's still a lot more work to be done and I don't want anyone to think that we are certain of success, or that success, should it come, is going to happen in the next week or even month. There's a lot of difficulty and a lot of uncertainty left in this," Abbott said Saturday in Beijing, where he was wrapping up a visit to China. Searchers want to pinpoint the exact location of the source of the sounds — or as close as they can get — before sending the Bluefin 21 submersible down. It will not be deployed until officials are confident that no other electronic signals will come, and that they have narrowed the search area as much as possible. The sub takes six times longer to cover the same area as the ping locator, and will need about six weeks to two months to canvass the current underwater zone. The signals are also coming from 4,500 meters (15,000 feet) below the surface, which is the deepest the sub can dive.